It’s a common problem for roadies of all levels—trying to figure out how to move up a category in road cycling. Another year battling with the same guys, same circuits, same races—and only one or two manage to make the move up. And there you are, still stuck scraping a few points here and there before ending the season in the same place as where you started. If you’ve decided that this is the year to make the move up, it’s time to take stock, look at where you are and what training you need to advance to the next level so you can be certain this is your last year stagnating. Look at the training that you are doing, is it covering the areas where you perhaps are falling short? Don’t fall into the category of only doing the training that you enjoy or are good at, look at your weaknesses and work on those too whilst still doing the things that you like. Training is about balance and solely concentrating on a weakness will mean that one will spring up somewhere else, so try to balance what you are doing and work across the board. Ideally, you should perform an assessment like this at the end of every season, but there’s no wrong time to sit down and be honest with your training goals and focus areas. All efforts should feel uncomfortable and as the efforts go on each should get harder, however speed stays the same. Are you racing courses that don’t suit you as a rider? Are you trying to win sprints against powerful riders where being a mountain goat and zooming up a climb is better for you? Again take stock. Look at where you are racing and study the courses. Take some time to watch races and look at what others are doing. How do the races pan out and who are the stronger riders? Is it time that you raced a new course where no one knows you so you can spring a few surprises and perhaps grab a few unexpected points? Of course trying a new course or circuit means actually riding it to ensure that it suits you as a rider, but with Google Earth, Strava, Garmin, VeloViewer and a whole host of tools at your fingertips you can easily study the event in detail to maximize taking a win, podium or top 10. Take part in events where you have a better option to secure points. Why race a 1/2/3/4 event where Cats 1/2 are going to grab everything and you are left behind? It may seem like common sense, but it’s surprising how many people race events that place them out of their comfort zone. Choose events that suit your category and ones where you are racing with similar people rather than those one step above you. The guy who wins the race is often the one who does the least amount of work—so keep this in mind. To be fair, it’s not about doing minimal work and not doing your part if a breakaway goes clear, but if you are chasing unnecessary breaks and using up energy that could be more useful later in the race, then you need to think about your racing strategy. 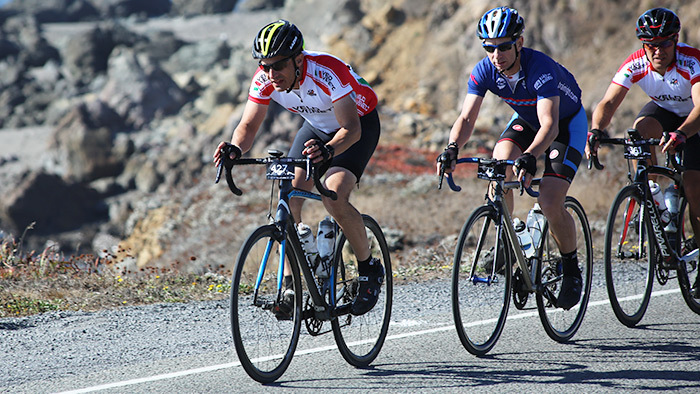 Other riders whom you race with often are probably aware of your racing style and play to it, meaning that you are already on the back foot on race day. So start your next race with a plan. Make sure your plan has plenty of contingencies for unforeseen circumstances, and try to train for all types of situations. Take some time off and study the races from a spectator perspective. Look at the races from the outside in. Determine the riders you could perhaps follow, the ones who are strong and patient and race clever, and of course pay attention to those who are burning matches early in the race. A warm up is a warm up and not the main event, so don’t blow up before you have even started the race. A good warm up is going to get those muscles active and ready, not get you done before the gun. The length of your event will dictate the intensity and duration of your warm up, but as a guide, 30 minutes is probably a good time to shoot for. Make sure to include a mix of exercises to get the muscle groups warmed up effectively for the work ahead. It can be hard to ensure that you have enough fuel to keep you going through the rigors of a race, and almost impossible at times to drink something when things get really hard. Many riders forget to eat enough both the day before and of course on the morning of the race. A good breakfast with a mix of carbs and protein to stave off muscle damage and fatigue is really going to help. During the race, using a carb-based drink with electrolytes is also a good idea, that way you can get simple carbs into the system easily and effectively without worrying too much about munching on a bar or something more solid when you should be planning your big breakaway. Endeavouring to move out of your category means taking stock of not only your training but across the whole spectrum of you as a cyclist. If you can be critical of yourself in the right way, picky with the races you choose to enter, focused in how you train and how you race—then moving up through the ranks is well within your reach. Ian Jenner is the head coach and owner of Rule 5 Cycling Coaching based at Lake Garda in Italy. Ian is a British Cycling Qualified Coach in Road TT and MTB as well as a Level II TrainingPeaks Coach. With over 25 years of experience racing bikes at competitive level, club and international events, Ian brings a wealth of knowledge coaching athletes from club, sportive and up to elite level across the globe. Visit his website at http://www.rule5cyclingcoaching.com/.